Monitoring and minimizing tourist’s water consumption is essential for the sustainable development of mountain destinations in the world. However, available data and a generally accepted protocol on such measurement are still limited. This study uses water footprint accounting to quantify tourist’s water demand in the Liming valley, a World Heritage site and a rapidly growing tourism destination in Northwest Yunnan, China. Both the water for direct and indirect use is taken into account based on the consumptive behavior of the tourists in the valley. Data were collected through guesthouse monitoring and a tourist survey in the 2005 tourist season. The results indicate that an average tourist leaves behind a footprint of 5.2 m3 on local water resources per day. Food production and waste dilution are the two most important water consumption factors. The results also show tourists consume more water than the local residents on per capita basis. This suggests more commitment is necessary to cope with this stress by individual tourists. 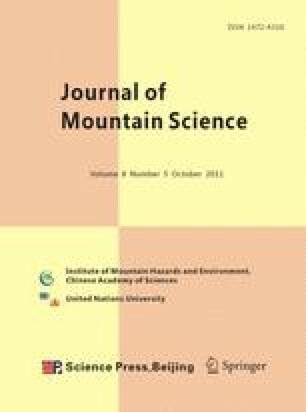 Management implications to make water use more sustainable in mountain destinations are derived from this study.